I have a few days off work and that always leads to more social media browsing and window shopping. 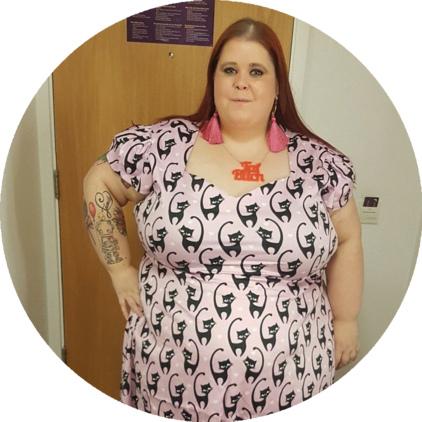 Today I saw a few tweets mentioning plus size brand Navabi and thought I would head over to their website. I'll be honest I thought I would just be browsing and lusting over items I was missing out on - because in my head I was sure they went up to a size 28! When I started looking at items I realised that they did up to a size 32 and so I thought I would share it with you all! For me, discovering brands that do over a size 28 is fantastic and something I'd always share. Navabi have a really good range of items. I have read loads of reviews from different bloggers and have heard nothing good about the quality of the items on the website - which is always a good thing. Some of the items have a more mature look about them than I would usually wear, but I still feel the importance of sharing retailers that do larger size items! Also, I have seen lot of these items styled amazingly which just goes to show you can make anything work for you! I have to give a special shout out to this BEAUTIFUL dress; which would be perfect for a glitzy, glam event! This type of dress is SO HARD to find in top end plus sizes so I love Navabi for doing this UP TO A SIZE 32!! I have updated Navabi on my list of plus size retailers, because I didn't realise they did up to a size 32 - if there's any brands so I should add, give me a shout!